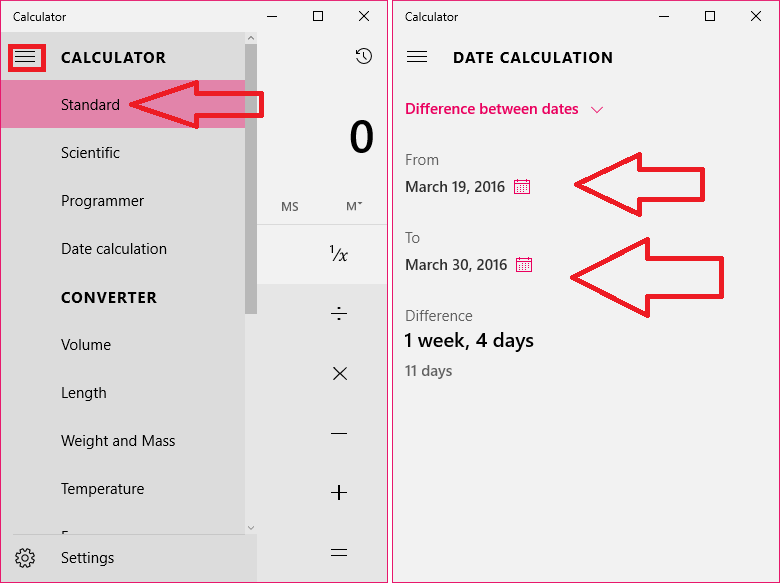 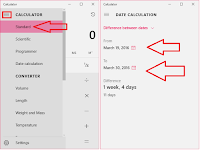 Windows calculator comes with some nice built in features, one of them is date calculation, by using this you can easily calculate different dates in number of days, also you can add or subtract days in previous and upcoming dates. 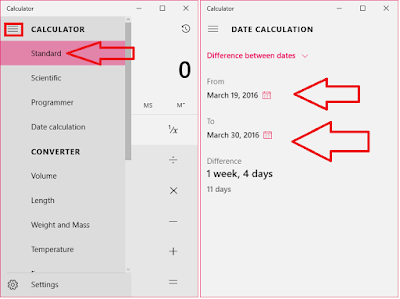 Follow these easy steps know to how to calculate dates in days. 3. 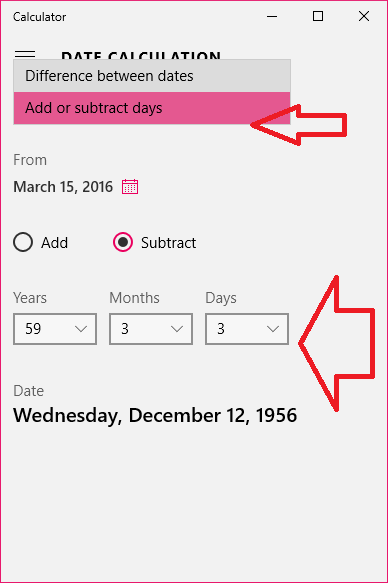 If you want to Add or Subtract days than click on “Add or Subtract days” select years, months and days.